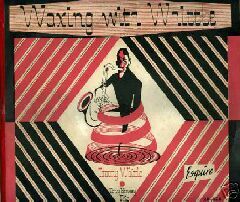 Esquire issued British modern jazz records from 1948 until the mid 1950s. 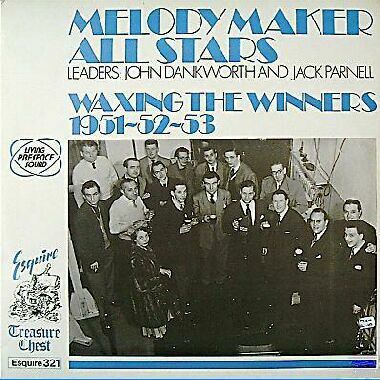 The 78rpm format had catalogue numbers prefixed: 10- or 12- for 10" or 12" discs (listed here).....Long playing record numbers were prefixed 32- for a 12" LP or 20- for a 10" LP.....Extended play 7" records were prefixed EP. ESQ 306 - Carlo Krahmer's Memorial Album??? 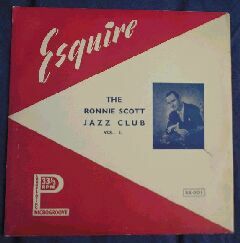 ESQ 332 - Swingin' on the sound stage - Vol 1 - Various groups led by Alan Branscombe recorded 7 and 8/11/68, (8 titles). ESQ 342 - Swingin' on the sound stage - Vol 2 - Various groups led by Alan Branscombe recorded 7 and 8/11/68, (9 titles).